Continuing with our trip through Israel, it is obvious that Tel Aviv-ians (I just made that word up) love their dogs! It seems that every second person on the street is sharing the sunshine with a canine companion. They come in all shapes and sizes, often greeting each other freely, running and playing and having a ball just being a dog. 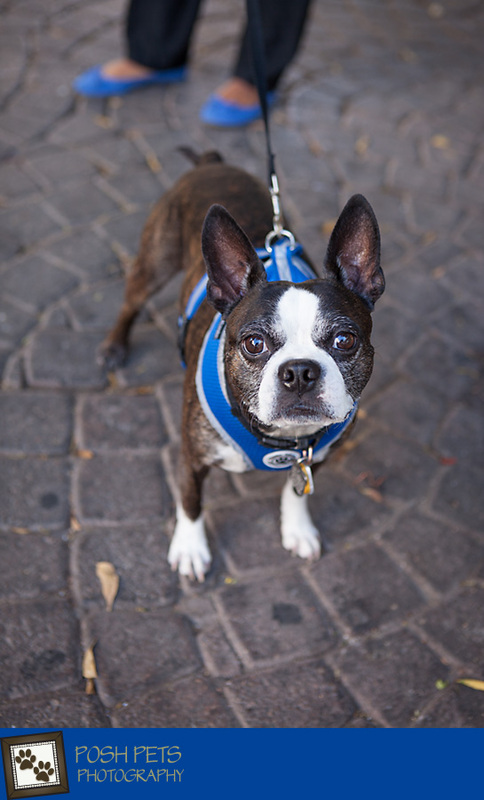 Today, we met Maxwell who is a 6 year old Boston. 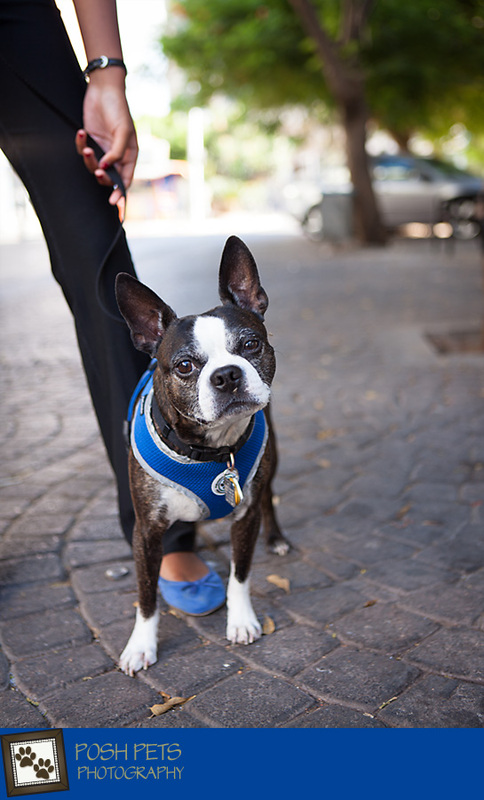 Originally from the United States, he now makes his home in Tel Aviv where he is a rare breed – we certainly have not seen another Boston other than gentlemanly Maxwell. To see what I mean, look how well he coordinates his harness with his human’s shoes. And the fact that he was so gracious to stop for a few minutes to provide us with his portrait, even though there were so many other things for a well-bred dog to see and do. He finally gave us his best head tilt, before going on his way toward the beach. Maxwell is a dog about town and such a wonderful furry face!